As a youngster, nothing was more exciting than watching Harry the hardware store man divvy up flat headed nails. Moving with the grace of a newborn calf and the speed of an earthworm, Harry, who was approximately 125 years old, would spend his days counting, sorting and color coding his nails. "Yeah it's a good day, no rain coming soon." he would say whenever anyone entered his happy hardware emporium. Of course, he also said that when someone asked him where to find the sand paper. Harry was a smart man, known to all the neighborhood children as, "that crazy guy who cleans his glasses with paint thinner". Harry was our hero, mostly because he was the only grown-up we knew who enjoyed Silly Putty as much as we did. Hanging on a peg, between the electrical plates and the washers, were always three packages of the wonder goo. It didn't matter what day you went into the hardware store or how many times you bought it, Harry always had three packages of the stuff ready for resale. "Now whatever you do," he would say, "don't stick that junk in your mouth." Then he would proceed to do just that... pop a wad in his cheek, chew for a while and pretend as though he was about to empty his stomach right there between the paint rollers and the floor cleaner. Harry taught me the many uses of Silly Putty such as making impressions of comic book characters and removing remnants of dog poo off the bottom of my shoe. 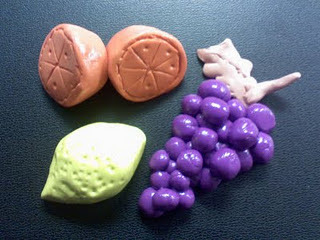 Fortunately, there are people out there who have come up with infinitely more creative uses for Silly Putty. Travis Childers is an artist who decided to use Silly Putty to "lift" faces from newspapers. That in itself isn't so unique - we've all done that, right? It's what he did next that made the gesture so memorable. 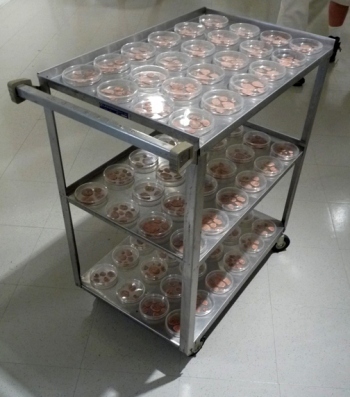 He placed the faces in Petri dishes and stacked these dishes on a metal medical cart. Borderline creepy. 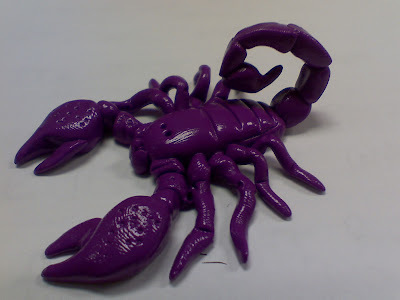 ﻿Steve Esqueda has made a number of Silly Putty sculptures and, as it turns out, this is no easy feat. Evidently, as Silly Putty is not a hard material, it begins to "melt" as soon as it is put together and within minutes it is a blob again. Steve's works of art stayed put long enough for him to take the following photos. 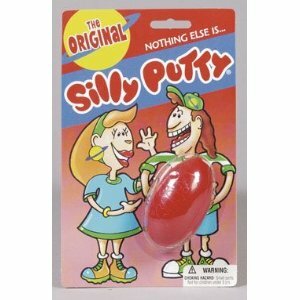 And finally... once upon a time, the fun folks at Google placed a bulk Silly Putty order. When it arrived, they stacked the stuff up into a giant pile. 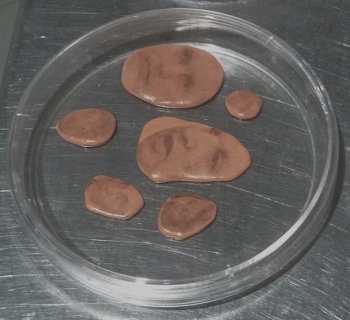 The problem was (according to staffers) that once together, Silly Putty doesn't like to come apart, and none of them had any idea of how to deal with this effect. After several hours of trying to cut the stuff with scissors and wire, they resorted to twisting, pulling and breaking. Eventually, they freed up enough giant bits to distribute around the office. Was there ever a better reason to covet a job at Google? I think not.